NOAA Fisheries announced last week, in compliance with a court ordered deadline, its final listing decision for four subspecies of ringed seals and two distinct population segments (DPSs) of bearded seals under the Endangered Species Act. Specifically, NOAA will list as threatened the Beringia and Okhotsk DPSs of bearded seals and the Arctic, Okhotsk, and Baltic subspecies of ringed seals. The Ladoga subspecies of ringed seals will be listed as endangered. The species that exist in U.S. waters (Arctic ringed seals and the Beringia DPS of bearded seals) are already protected under the Marine Mammal Protection Act. This science-based listing decision will not result in any immediate restrictions on human activities; however, Federal agencies that permit or fund projects that may affect a listed species must consult with NOAA Fisheries to ensure the existence of the species is not jeopardized. In addition, this listing will have no impact on the subsistence harvest of ice seals by Alaska Natives, a practice that is central to the traditional culture and nutrition in many Alaskan Native coastal communities. NOAA will work with local, state and Native partners, as well as the public to help determine whether to propose critical habitat designations for Arctic ringed seals and the Beringia DPS of bearded seals. This decision will happen at a later date, after compiling significant additional scientific and economic data and public input. Earlier this year, the President directed that any future designations of critical habitat carefully consider all public comments on relevant science and economic impact, including those that suggest methods for minimizing regulatory burdens. Any potential future critical habitat designation will include a full analysis of economic impact, including impact on jobs, and will strive, to the extent permitted by law, to avoid unnecessary burdens and costs on states, tribes, localities, and the private sector. Ringed and bearded seals depend on sea ice and snow to survive. After a comprehensive review of the best available science including climate models developed by the Intergovernmental Panel on Climate Change, NOAA has concluded that sea ice and snow cover are likely to further decrease in the foreseeable future resulting in population declines that threaten the survival of these seals. Ringed seals nurse and protect their pups in snow caves, which are threatened by late ice formation in the fall, rain-on-snow events in the late winter, earlier break-up of spring ice, as well as decreasing snow depths, which are projected to be too shallow for snow cave formation by the end of the century. 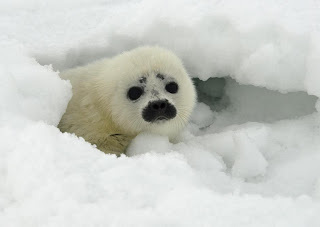 Both ringed seals and bearded seals rely on sea ice for extended periods during molting, and bearded seals live on sea ice during critical months for breeding, whelping, and nursing. Sea ice is projected to shrink both in extent and duration, with bearded seals finding inadequate ice even if they move north. NOAA Fisheries proposed the listings in December 2010 and provided opportunities for public input through public comment periods and during public hearings held in Anchorage, Barrow, and Nome. In accordance with NOAA’s Policy for Peer Review in ESA Activities, the agency also solicited comments from peer reviewers on each of the proposed rules. In December 2011, NOAA administratively extended the deadline for final listing determinations six months to June 2012 to allow for additional consideration of relevant science and information. In November 2012, the Alaska district court ordered NOAA to respond to a complaint about further delay by December 21, 2012. The Endangered Species Act requires species listed as endangered to receive the full protection under the Act to prevent extinction, including a prohibition against “take,” which includes harassing, harming, pursuing, wounding, killing, trapping, capturing, or collecting. These protections may also be established for threatened species to prevent them from becoming endangered, but NOAA does not propose pursuing such a rule at this time. The listings become effective 60 days from the date of publication in the Federal Register. NOAA Fisheries will now begin seeking 60 days of public comment to inform any future critical habitat proposals for Arctic ringed seals and the Beringia DPS of bearded seals. The listing determinations, related Federal Register documents, status review reports, and other background information are available on the NOAA Fisheries Alaska region website.